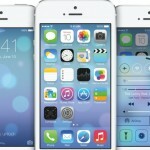 Is It Safe For Prospective Jailbreakers To Download iOS 7.0.2? So far, promising progress on an iOS 7 jailbreak solution appears to have been made by team members of the hacking group "evad3rs." You'll remember, of course, that back in February, evad3rs brought iDevice users the popular "evasion" untethered jailbreak for iOS 6. The team consists of @MuscleNerd, @PlanetBeing, @pod2g, and more. Earlier this month, team member @pod2g told one jailbreak fan that he feels "confident about an iOS 7 public jailbreak," however the hacker was careful to add that no time frame concerning a potential release is presently known. It looks, then, like a jailbreak solution for iOS 7 could reach iDevice users at some point in the future, though exactly when this might be - and whether the solution will support the Apple A7-equipped iPhone 5s - remains to be seen. Apple's impressive iOS 7 borrows a lot from both third-party developers, and from the jailbreak scene at-large, however as our recent op-ed hoped to demonstrate, the Cydia Store still has a lot to offer. For a list of jailbreak tweaks that iOS 7 can't touch, which includes Activator, biteSMS, and DreamBoard, see our original article. In other jailbreak-related news, a jailbreak solution for iOS 6.1.3 and iOS 6.1.4 is also in the works, but like its iOS 7 counterpart, no firm release date has yet been set. We'll keep you updated with further information as we receive it. See also: Look, Ma, No Typos: Post Editing Feature Coming Soon To Facebook For iOS, Apple Updates iBooks Store With Backend Improvements For Authors And Publishers, and Today's Best Apps: Pocket Trains, Fading Fairytales, JamCam And Trouserheart.